A medium - sized tree with smooth, grey bark. Leaves green and shiny, retained until late autumn. Yellow catkins in March. Ultimate height : 15 metres. Ultimate spread : 5 metres. Write a review about "Alnus glutinosa 'Imperialis' 10L pot"
We want to know your opinion! 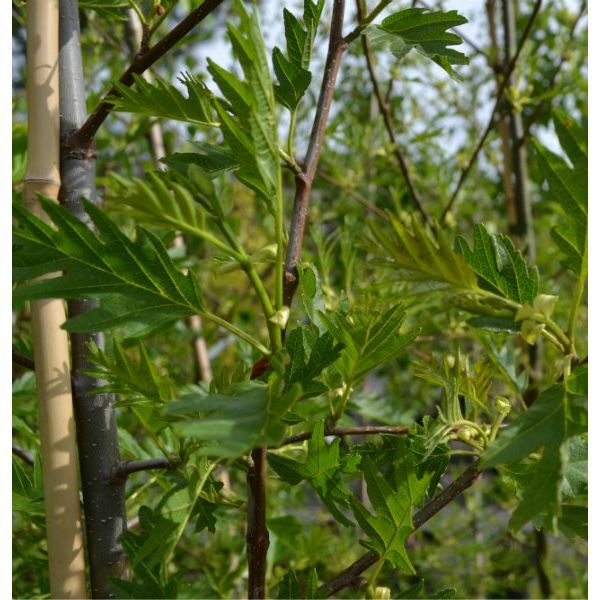 Write a review about the product “Alnus glutinosa 'Imperialis' 10L pot” and win a National Gardening Gift Voucher of £25 ! Would you like to buy Alnus glutinosa 'Imperialis' 10L pot? Visit Derwen Wholesale!